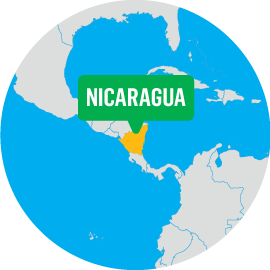 Nicaragua is the largest country in Central America, bordered by the Pacific Ocean on the west and the Caribbean Sea on the east. With lush valleys and rainforests, stunning mountains, lakes and volcanoes, picturesque beaches, and Spanish-colonial towns, Nicaragua is seeing a boom in tourism. 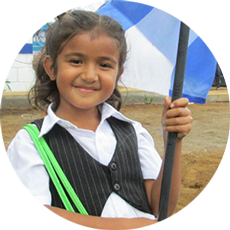 Despite this, Nicaragua is also the second poorest country in the Western Hemisphere after Haiti, and its population struggles with poor access to education, employment, clean water and health services. Around three-quarters of the people here live on less than $2 a day, according to the United Nations, and on average, Nicaraguans complete less than five years of school. This has left nearly 25 percent of the population illiterate, according to UNESCO, and forced 15 percent of children between five and 15 into some sort of child labor. 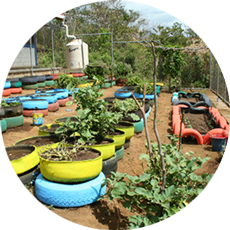 WE Charity has a rich history in Nicaragua dating from the late 1990s. In response to the country’s continued need, WE Charity is now partnering with several communities in the Central Pacific Region to eliminate the obstacles that prevent children from accessing education. Help children overcome barriers to education. Build schools in communities that don’t have appropriate schoolroom capacity, or have dilapidated school buildings. Contribute to rural community development by putting into service all five pillars of WE Villages, including providing clean water and sanitation services, and access to health care and nutritious food. 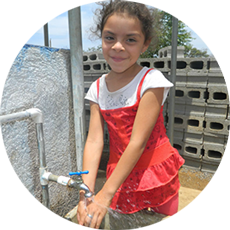 Here are some of the projects we are proud to partner on in Nicaragua. Lack of clean water and nutritious food leaves many low-income people in rural Nicaragua in chronically poor health. The country suffers from a high rate of malaria and other parasitic diseases, and malnutrition. Lack of health services for the rural population, coupled with the cost of seeking medical treatment, is a huge barrier to health and wellbeing. According to the World Health Organization, infant and maternal mortality are high in rural and indigenous communities. Children often die of respiratory diseases, malnutrition and diarrhea. We help by partnering to provide health workshops. El Trapiche is a very small, rural 100 percent Mestizo community – a term used in Nicaragua to describe people of mixed Latin American and Spanish decent. Before WE Charity partnered with El Trapiche, the closest school was in a town four kilometers away—a 40 minute walk through a canyon that fills with water up to three meters high during the rainy season from May till November. No surprise: parents stopped sending their young children to school, although they supported the importance of education. The first priority: building classrooms. Together, WE Charity and the community built the first primary school including a hand-washing station, clean water system, latrines and a school garden. Children are now enrolled in pre-school and grades 1 through 6. Opportunity programming followed including the community’s first-ever women’s group formed to create income opportunities for women in the community. Like many 15-year-olds, Julyssa is eager to grow up. But becoming independent is not her only goal. She wants to finish her studies and find a secure job so she can provide a better life for her parents. 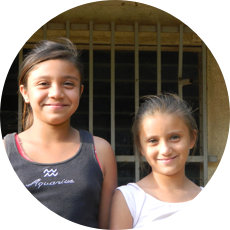 Julyssa comes from the farming community of El Trapiche. Though her parents work hard, the unreliable rainfall has caused many of their crops to fail. Currently, nearly one in two Nicaraguans lives below the international poverty line of $1.25 a day and about 80 percent of the rural population depends on agriculture for their livelihood, though it’s rarely lucrative. Families eke out their living with little hope for long-term development. 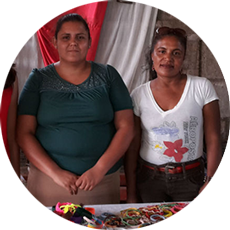 In El Trapiche, the first-ever women’s group was formed to create income opportunities for women in the community. During Julyssa’s first meeting with the 11 other group members, she created a plan for an artisan project that has them crafting and selling jewelry. As part of their training, they learned basic design techniques from a professional artisan. The women have also participated in workshops on finance, which allows them to manage their own business expenses and distribute profits equally among the group’s members. With increased self-confidence, a piece of jewelry that used to take Julyssa an hour and half to make now takes her five to 10 minutes. Women who butted heads have also learned how to resolve conflict tactfully, give constructive feedback and support one another for the benefit of the team.